International research shows that the first three years of children’s lives are the most critical for their development.Early childhood is an important foundation for later health and wellbeing. Through early childhood, children are rapidly changing, growing and developing in ability and personality. Good nutrition is essential for all of this.Breastfeeding is the best and safest way to feed infants and young children. Therefore, women and families need to be given all the support possible to assist them in establishing and continuing breastfeeding, and when necessary adequate information free from commercial interest about the safe and proper use of breast-milk substitutes.The number of children attending early childhood education (ECE) has increased steadily, with 95.7% of children starting school having attended ECE in the year ending June 2013 (reference).It is therefore crucial that early childhood educators understand the benefits of breastfeeding and look at ways of removing barriers to breastfeeding in early childhood education settings. This is not always easy. This page is intended to provide information about how to support breastfeeding in early learning centres and is useful for both parents and ECE workers.The World Health Organisation and the Ministry of Health recommend exclusive breastfeeding infants for the child’s first six months to achieve optimal growth, development and health. Thereafter, they should be given nutritious complementary foods and continue breastfeeding up to the age of two years or beyond. Step One Have a written breastfeeding policy that is routinely communicated to all early childhood staff in the setting. Step Two Provide educational opportunities for all staff involved in the care of infants/toddlers and young children to acquire or update the skills necessary to implement the breastfeeding policy. Step Three Provide a culturally appropriate breastfeeding environment. Step Four Provide relevant and up-to-date information as necessary for parents, family and whānau. 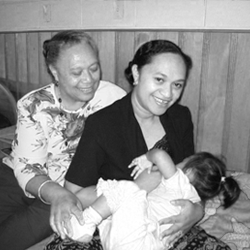 Step Five Provide a supportive, welcoming and comfortable environment for breastfeeding women, parents, families and whānau. Step Six Use a responsive, respectful, and sensitive model for feeding a breastfed baby that takes into account feeding interest cues and caregiver engagement. Step Seven Utilise models of participatory learning to establish breastfeeding as a cultural norm. Step Eight Implement and monitor the International Code of Marketing of Breast-Milk Substitutes in New Zealand: ‘The Code in New Zealand’. Step Nine Respect parental wishes regarding both the mode of feeding expressed breast-milk to breastfed infants and the use of pacifiers (dummies). Step Ten Promote communication and collaboration between ECE staff, parents, breastfeeding support groups and the local community. For more information or assistance in making your centre breastfeeding friendly please contact Women’s Health Action on info@womens-health.org.nz or phone 09 520 5295.